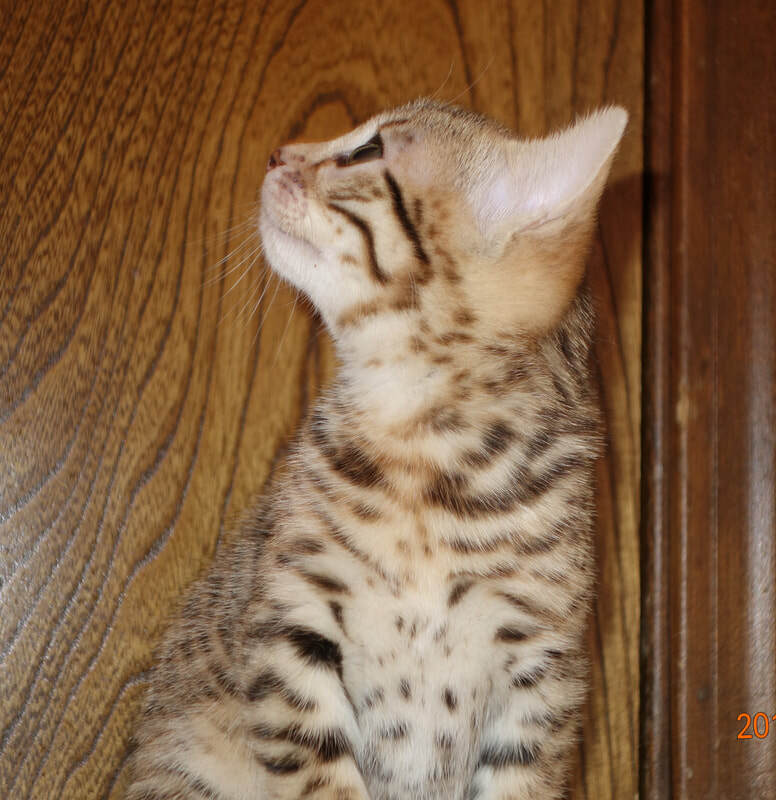 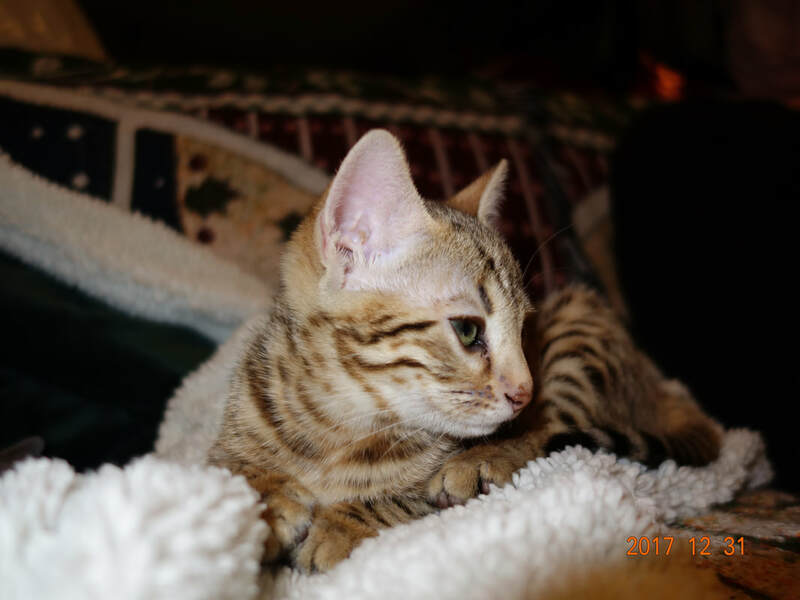 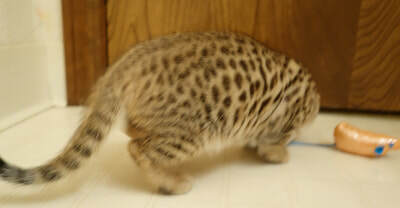 NW Bengals Rio de la Soul - Northwest Bengal Cats Beautiful, friendly Bengal Cats and kittens for sale in the Pacific Northwest of Oregon. 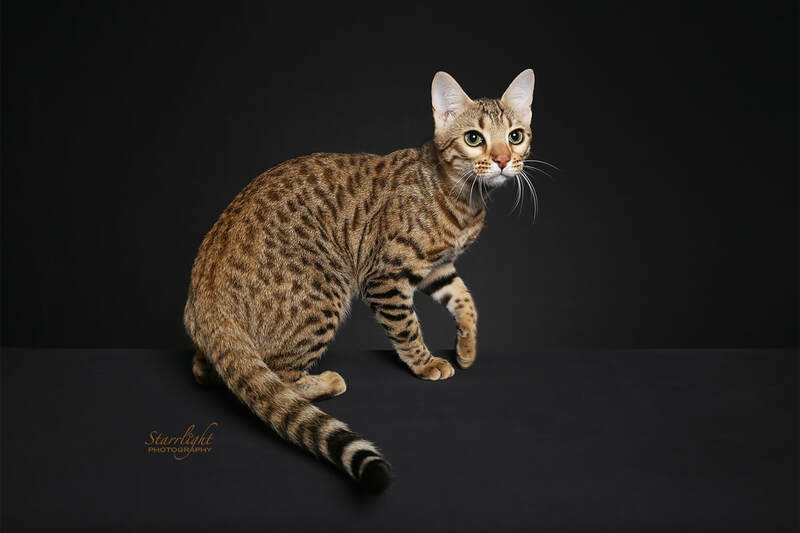 Rio is the lovely home bred daughter of Maverick and Mystic River. 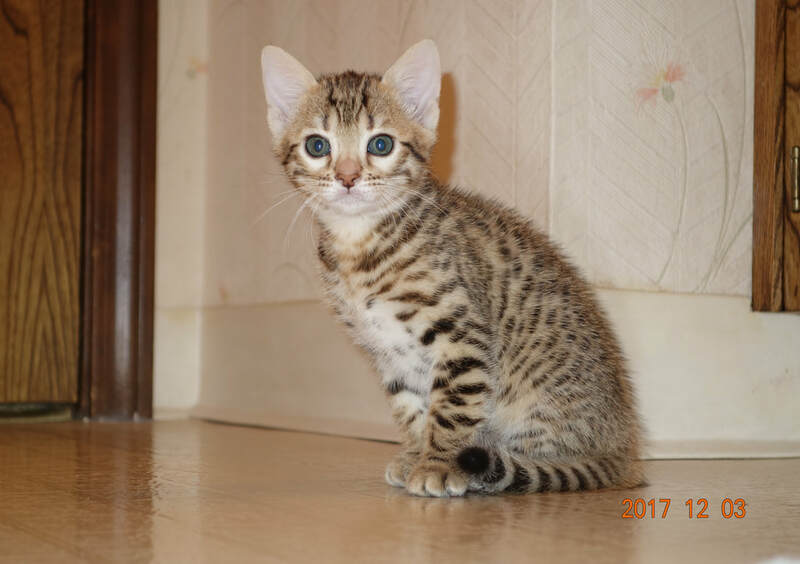 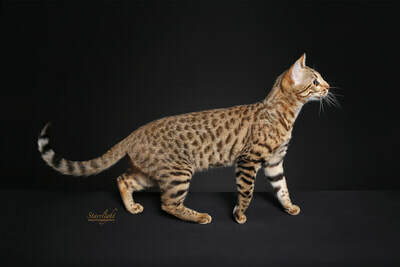 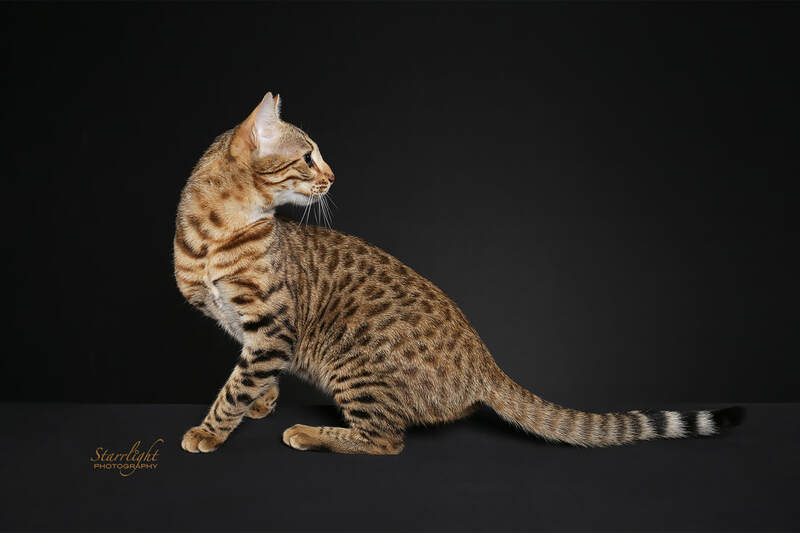 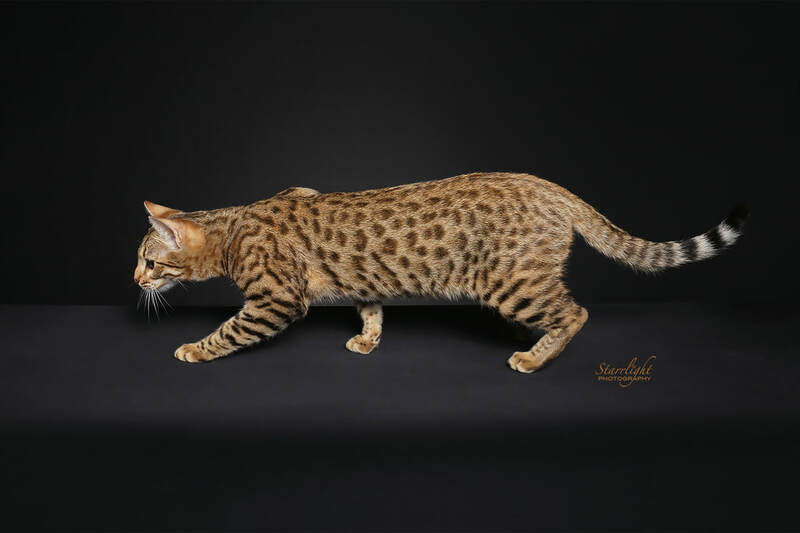 She embodies many of their individual best Bengal qualities, including beautiful confirmation, athleticism and a horizontal wild type pattern. She may also be a little too smart for her own good! 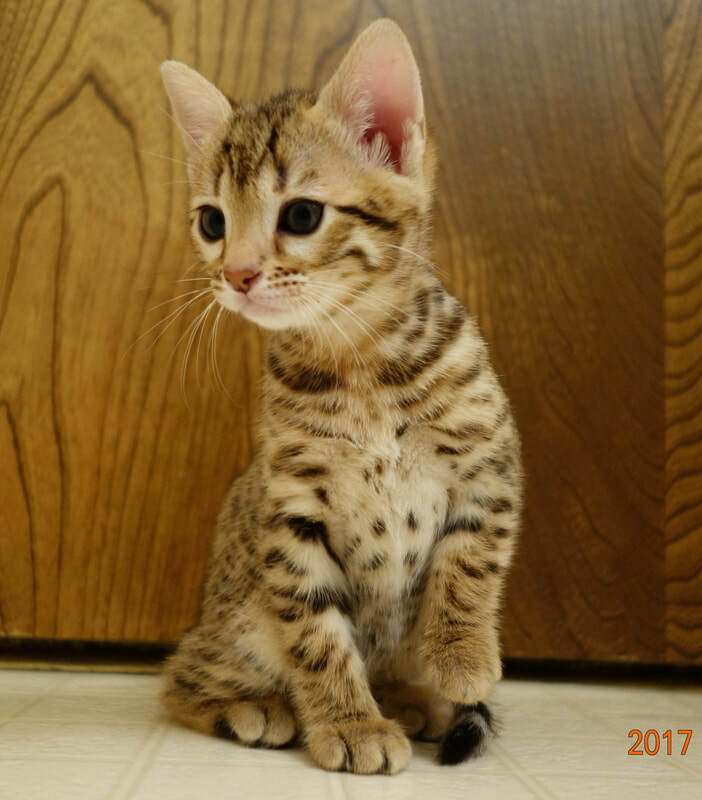 ​We were thrilled with the results of Rio's first kitten show in Monroe, WA, she received one Final and competed very well against a beautiful class of Bengal kittens. 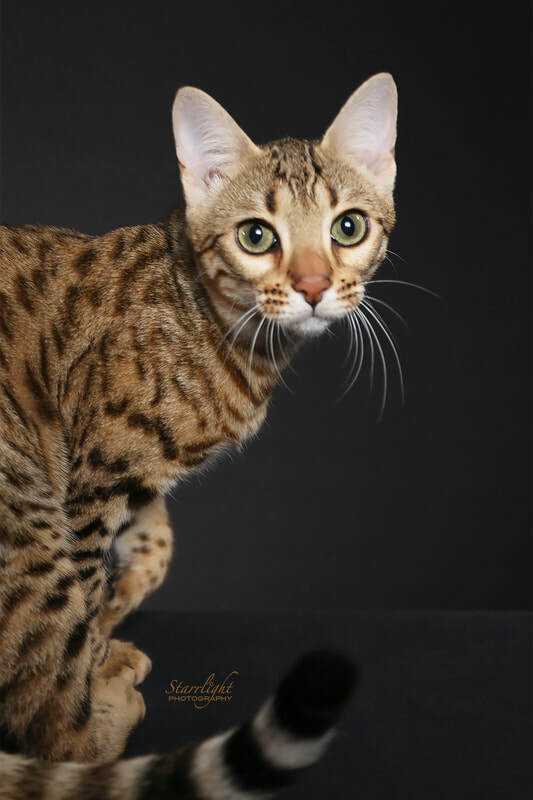 The icing on the cake was having some gorgeous photo's taken of Rio by Diana Starr of Starlight Photography. Thank you Diana!